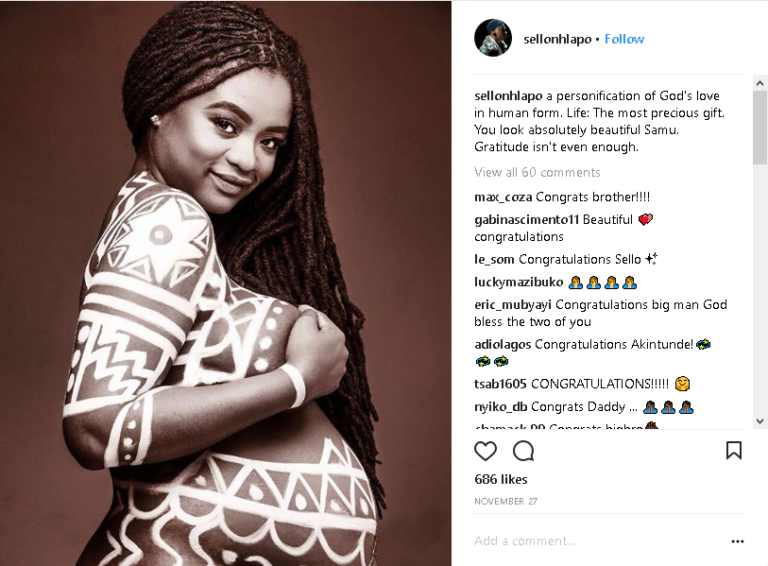 Home / Celebs Pregnancy / Samkelo Ndlovu / Pics! Could This Be Samkelo Ndlovu’s Baby’s Daddy?! Pics! Could This Be Samkelo Ndlovu’s Baby’s Daddy?! Pics! Could This Be Samkelo Ndlovu’s Baby’s Daddy?! 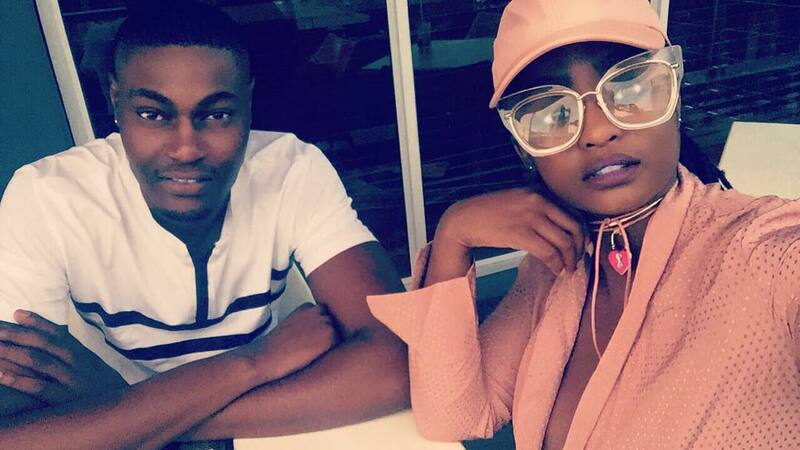 A few years ago the actress was dating hunkie actor Bohang but the two seem to have called it quits back in 2016. So who might be Samkelo’s baby daddy? Well, if you check her Instagram there’s only one man all over it. The baby daddy is Sello Nhlapo, according to his Instagram page and he’s a model. Samkelo has him all over his Insta often featured as her Man Crush Everyday. 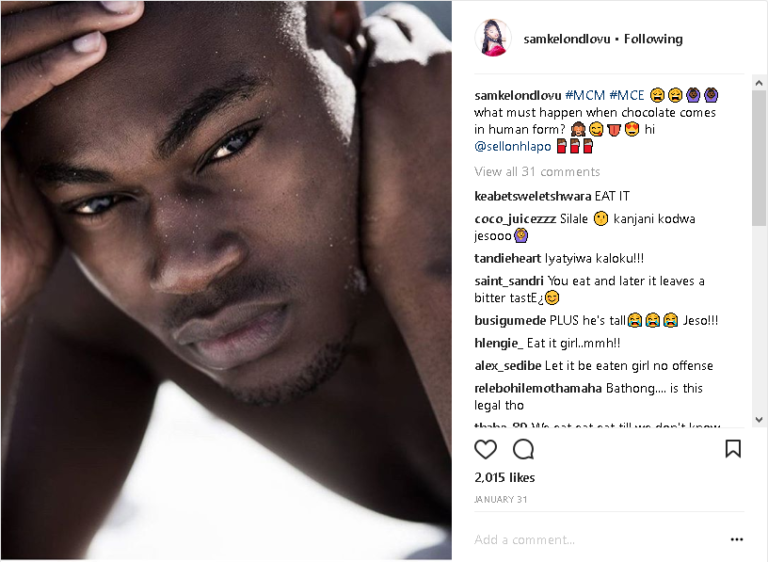 After posting a photo of pregnant Samkelo on his Instagram page, the model’s comments were flooded with congratulatory messages from those who know him.